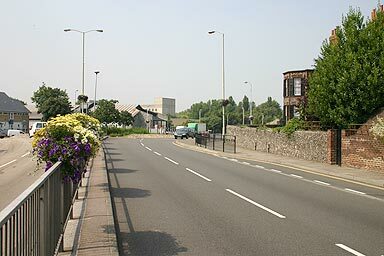 Standing precariously in the central reservation of the ring road, we can see the Wincheap Roundabout, a place of great traffic congestion. The brick building on the other side of the roundabout is Habitat. In the distance, is a concrete block that once belonged to BT.